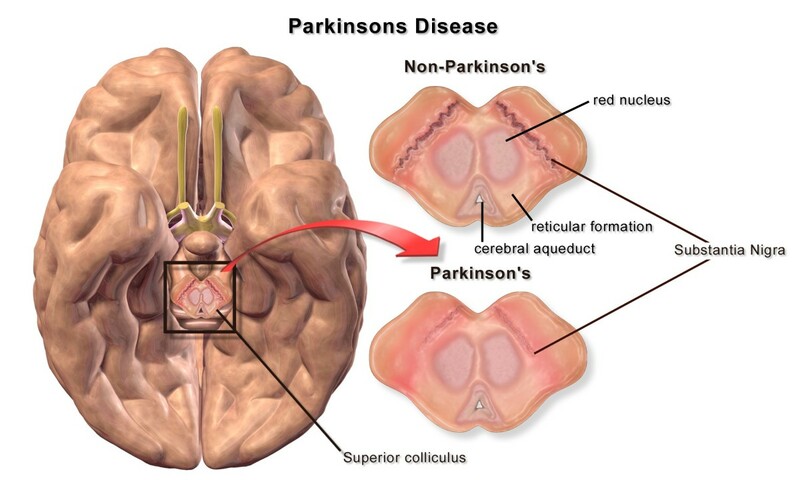 Parkinson's disease is a neurodegenerative disorder. It's caused by the death of cells in a part of the brain known as the substantia nigra. The cells make a chemical called dopamine while they are alive. Without an adequate supply of dopamine in the brain, a person experiences problems such as tremors, the inability to move quickly, muscle stiffness, and balance problems. Medications and other treatments can improve the symptoms of Parkinson's disease, but at the moment the disorder can't be cured. Unfortunately, the disease may be progressive. There is a hopeful development, however. Research suggests that using stem cells to replace the lost brain cells might be an effective treatment. Parkinson's disease affects more men than women, although in my family my grandmother had the disease. It generally affects older people over the age of sixty, as it did in my grandmother's case, but younger people may be affected as well. Probably the most well known person affected by the disorder in North America is the actor Michael J. Fox. He developed young-onset Parkinson's disease at the age of thirty. Although there are several theories to explain why brain cells die in Parkinson's disease, the ultimate cause of the illness is unknown. Many researchers think that the cause is likely a combination of a genetic mutation and an environmental trigger. Parkinson's disease is named after James Parkinson (1755-1824), an English surgeon who first described the disorder. He called the disease shaking palsy or paralysis agitans. Parkinson was born on April 11th, which is now celebrated as World Parkinson's Day. 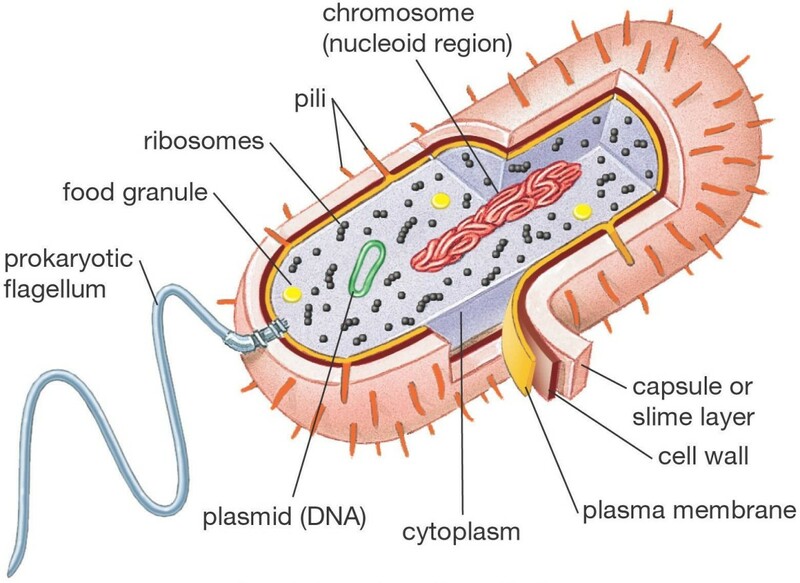 In a person with Parkinson's disease, there is a massive death of cells in the substantia nigra. 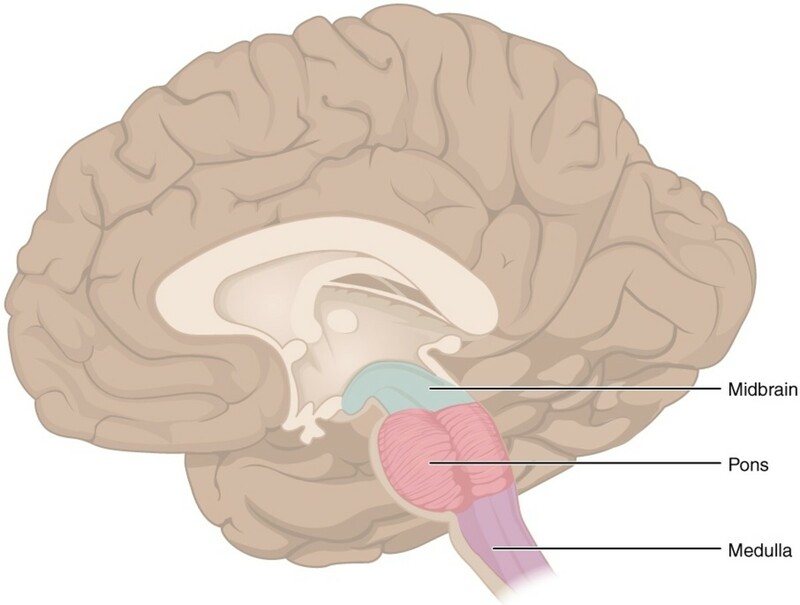 The substantia nigra is crescent-shaped and is located in the midbrain, which is the blue area in the illustration above. In real life the substantia nigra is black in colour due to the presence of a pigment called neuromelanin inside neurons, or nerve cells. The area contains many dopamine-secreting neurons that send signals to other parts of the brain in order to regulate movement. When about 80% of the dopamine-secreting neurons in the substantia nigra die, symptoms of Parkinson's disease appear. Although the substantia nigra gets most of the publicity when Parkinson's disease is discussed, researchers have discovered that some of the brain neurons that secrete norepinephrine die as well. This death may be responsible for disease symptoms such as digestive problems and a rapid drop in blood pressure when the person stands up after sitting or lying down (postural hypotension). There is another frequent hallmark of Parkinson's disease besides cell death. Research indicates that the brains of many people with the disease contain abnormal clumps called Lewy bodies. One of the components of Lewy bodies is tangled fibrils of a protein called alpha-synuclein. The reason why the clumps form and their role in the disease isn't known, although there are several theories to explain their presence. Dopamine and norepinephrine are neurotransmitters. A neurotransmitter is a chemical that is produced at the end of a neuron when a nerve impulse arrives. The neurotransmitter travels across the tiny gap between neurons and binds to receptors on the next neuron, where it causes the generation of another nerve impulse (or in some cases inhibits it). In this way signals travel from one nerve cell to another. Dopamine is involved in transmitting signals that regular both our movement and our emotional response. This is why some people with Parkinson's disease experience mood disorders as well as muscle problems. A common treatment for Parkinson's disease is a medication called L-dopa, or levodopa. This substance is changed into dopamine in the brain. Giving patients dopamine as a medication isn't effective because dopamine can't enter the brain. Its passage is blocked by the presence of the blood-brain barrier. This barrier is made of tightly joined cells lining the blood capillaries in the brain. The cells allow only certain substances to leave the blood and enter the brain. Luckily, L-dopa is able to cross the blood-brain barrier. L-dopa is generally mixed with a chemical called carbidopa. Carbidopa inhibits enzymes in the digestive tract and blood vessels that can break down L-dopa. This allows the medication to reach the brain. Carbidopa can't cross the blood brain barrier. Dopamine is a fascinating chemical that produces many different effects in the body. 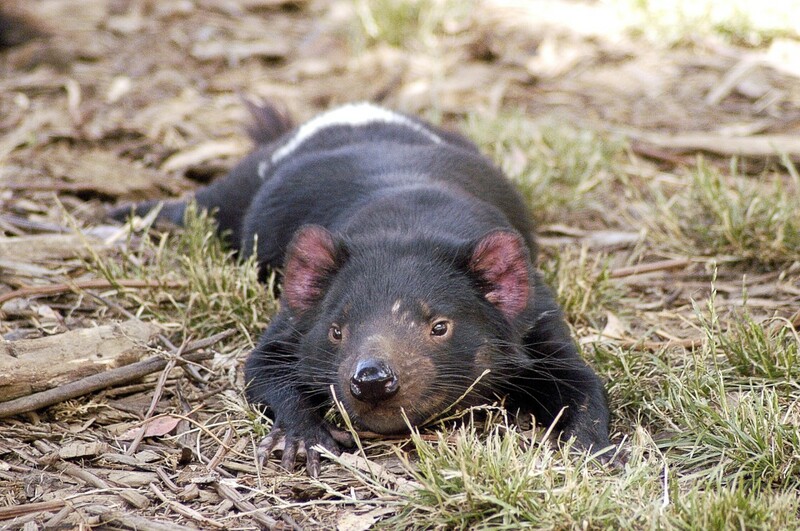 These effects depend on the specific neural pathway that uses dopamine as a neurotransmitter. Mature cells in an adult's body are highly specialized for particular functions and can't reproduce. The consequences may be serious if many specialized cells die in a particular area of the body and aren't replaced, as happens when dopamine-secreting neurons die in the substantia nigra. Stem cells are unspecialized but have the ability to produce specialized cells. 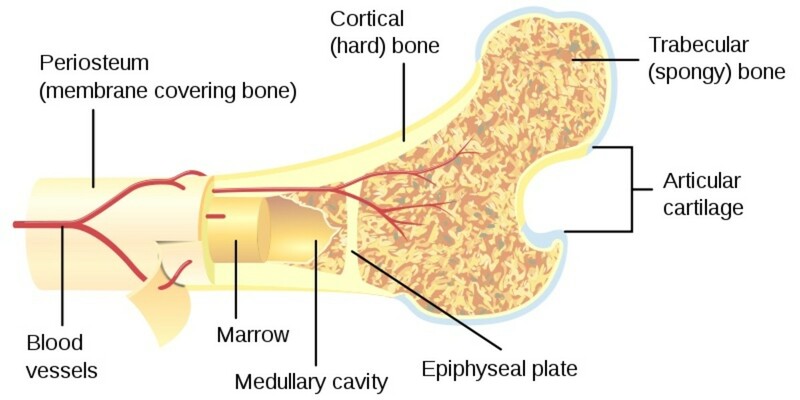 One example of normal stem cell activity in our body occurs in the red bone marrow inside certain bones. Stem cells in the marrow divide to produce new blood cells to replace the ones that have died. Although stem cells are widespread in our body, they don't exist everywhere. This means that not all of our body cells can be replaced naturally when they die. However, scientists have found stem cells that can be stimulated artificially to produce the specialized cells that we need, including the neurons found in the substantia nigra. Stem cells are tantalizing for medical researchers because they offer the hope of replacing body cells that have been destroyed by disease. Human stem cells are classified based on their ability to produce other cell types. A totipotent stem cell can produce all types of cells in the body as well as cells in the placenta, allowing for the formation of an entire organism. The fertilized egg cell and the cells of the very early-stage embryo are totipotent. The embryo at this stage consists of a ball of undifferentiated cells called a morula. A pluripotent stem cell can produce all types of cells in the body but isn't capable of producing placental cells or an entire organism. By four to five days of age the human embryo consists of a ball made of an outer layer of cells surrounding an inner cell mass and a cavity, as shown in the video below. The ball is known as a blastocyst. The cells in the inner cell mass are pluripotent and can be used as embryonic stem cells. A multipotent stem cell can produce several cell types within one particular tissue instead of any type of cell in the body. Stem cells in an adult's body are multipotent. Embryonic stem cells are useful for repairing the body because they are so versatile. They are also the most common type of cell used in stem cell technology at the moment. Most of the embryos used in stem cell research and technology are obtained from the in vitro fertilization or IVF procedure. The purpose of this procedure is to enable a couple to have a baby when the natural method has been unsuccessful. The couple donate eggs and sperm, which are united in laboratory equipment. Multiple embryos are produced. Some are inserted into the woman's uterus in the hope that at least one will implant and produce a baby. Embryos that aren't needed are frozen or discarded. A couple may choose to donate these extra embryos to science. New embryos aren't needed every time a lab needs embryonic stem cells. 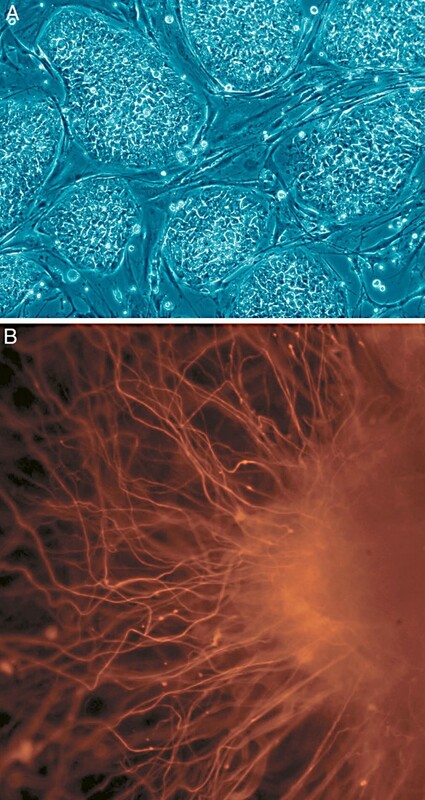 Stem cells have the ability to produce more stem cells by cell division. This means that labs can create multiple cultures of embryonic stem cells from one donation. Stem cells also have the ability to undergo a series of cell divisions that produce successively more specialized cells and eventually the target cells. Scientists are investigating the triggers that "tell" a stem cell to either make more stem cells or to make specialized cells. They are also investing the triggers that tell a stem cell which specialized cells to make. The research is very important because it has the potential to revolutionize the treatments for some serious diseases. Embryonic stem cells are obtained from embryos that are not destined to develop into humans. However, given the proper environment, the embryos could continue their development and become human beings. For this reason, destroying an embryo to obtain the cells in its inner cell mass is strongly opposed by some people. 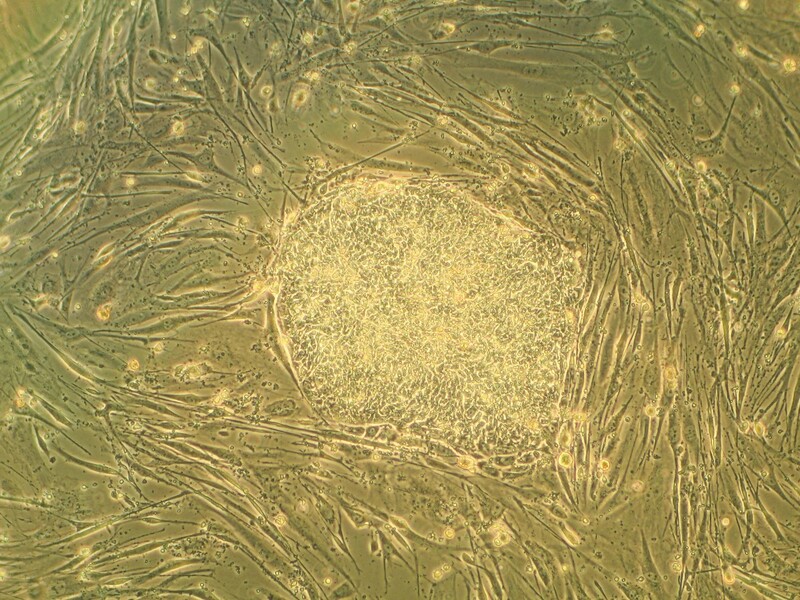 A method to induce cells from adults to become pluripotent stem cells has been discovered. Using induced pluripotent stem cells (IPS cells) avoids the controversy surrounding the use of embryonic stem cells. There is some concern about the safety of IPS cells, however, since the process of inducing pluripotency involves the genetic reprogramming of cells. Inactive genes must be activated so that the cells return to a state that resembles that of an embryonic stem cell. The technique for creating IPS cells was discovered by Shinya Yamanaka in 2006. In 2012, he won a Nobel Prize for his discovery. Researchers at Lund University in Sweden have made what may be a very significant discovery. 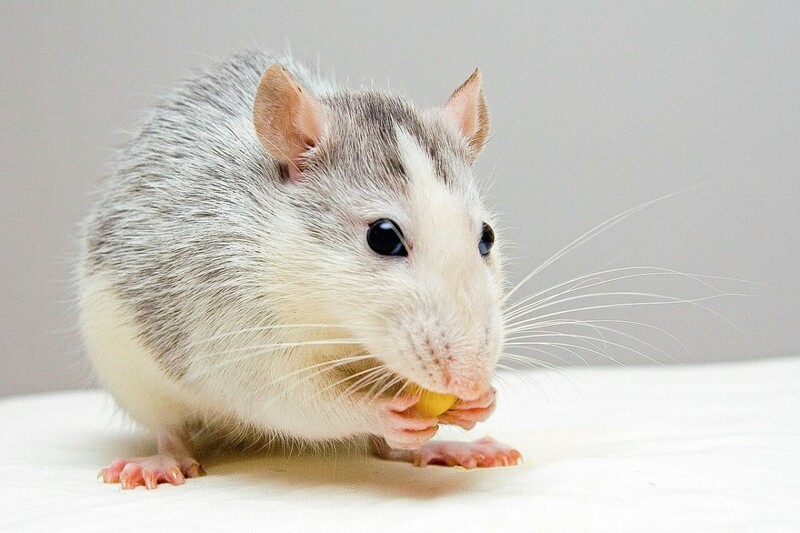 They destroyed some of the nerve cells that make dopamine in the brain of rats. This simulated the situation in Parkinson's disease and caused the rats to develop movement problems. The researchers then stimulated human embryonic stem cells to become neurons that produced dopamine. These neurons were inserted into the damaged areas of the rat brains. The neurons survived inside the rats. Furthermore, after five months the implanted neurons had formed connections with other neurons and the amount of dopamine produced by the brain was normal. Most importantly, the movement problems of the rats had disappeared. The press release about the experiment doesn't mention how many rats were involved or the percentage of rats that recovered, but the news is certainly exciting. However, clinical trials are needed to see if the process works in humans. Researchers must demonstrate that a clinical trial is safe and has a reasonable chance of being beneficial before health regulation agencies allow the trial to take place. One concern with transplanting stem cells into the brain of a person with Parkinson's disease is that we don't know why the original brain cells died. Since we can't treat the cause of cell death, the transplanted cells might be killed, too. Tests with fetal cell transplants have shown that this won't necessarily happen, however. Dopamine-secreting cells have been obtained from the brains of fetuses from terminated pregnancies and inserted into the brains of people with Parkinson's disease. The results of these trials have been mixed, but in at least some people the fetal cells have stayed alive and secreted dopamine. The research project referenced below states that two patients have had motor improvements for eighteen years after a fetal cell transplant. In addition, they no longer need to take dopamine-boosting medication to relieve their symptoms. The use of fetal cell transplants to treat Parkinson's disease is still being investigated and sounds promising, although it seems to be even more controversial than the use of embryonic stem cells. In August 2017, a group of Japanese scientists reported a significant improvement in monkeys with Parkinson's disease symptoms over a period of two years. At the start of the experiment, the monkeys were given neurons derived from human IPS cells. The IPS cells were triggered to become dopaminergic neurons, or ones that produced dopamine, and were inserted into the brains of the animals. The researchers say that the IPS cells were as effective as those from the brain of a fetus. The research could be very significant because monkeys are primates like us. 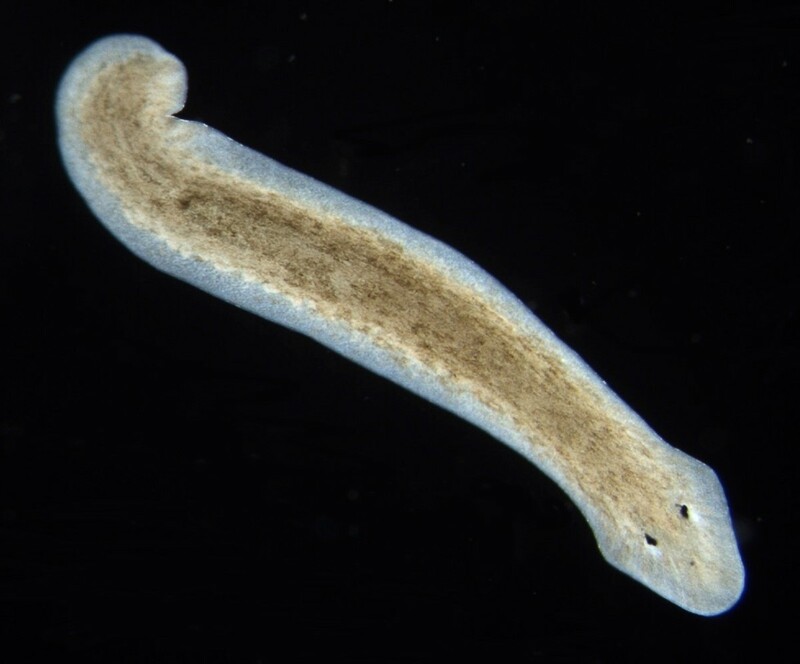 The researchers have discovered a way to enhance the survival of transplanted neurons. Cells of the same type differ in some of their chemicals. By choosing donor cells with specific chemicals that matched those of the recipient's cells, the scientists were able to reduce inflammation resulting from the transplant. As a result, the recipient could be given a lower dose of immunosuppressive drugs. These drugs are necessary in most transplants in order to prevent the immune system from attacking the new cells, tissue, or organ. The good news is that more than one group of scientists has been able to stimulate embryonic stem cells to produce dopamine-secreting neurons. This is an amazing achievement, since embryonic stem cells have the capability to produce a huge variety of cells. Fetal brain cells can be helpful, too, but as is the case for embryonic stem cells their use is controversial. IPS cells produced from adult cells such as skin or blood are much less controversial and could be very useful. Scientists are discovering how to turn them into different kinds of cells, as they are doing with embryonic stem cells. Additional requirements are needed in order to help people with Parkinson's disease. 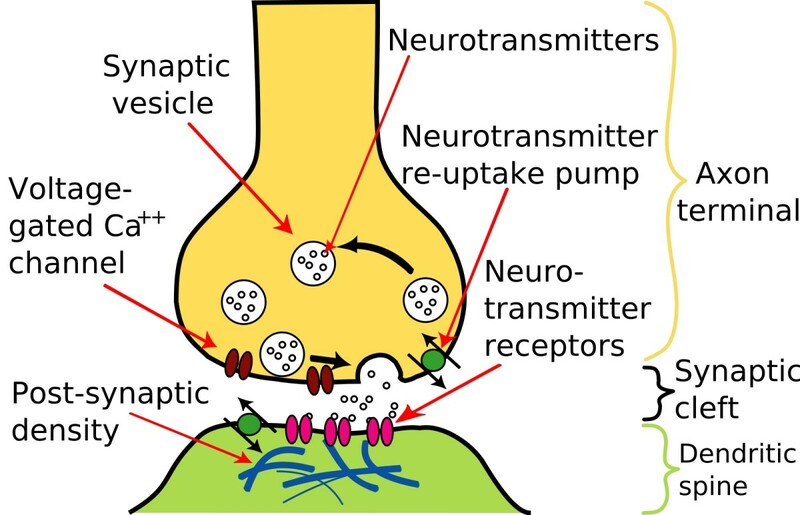 When suitable neurons are placed in the patient's brain, they must stay alive, form appropriate connections with other neurons, and secrete dopamine. Another requirement is that researchers must determine the stage of stem cell differentiation (or specialization) that is most likely to produce a successful transplant in humans. Stem cell transplants have successfully treated problems in rats and monkeys that resemble those caused by Parkinson's disease. The big question is, will the transplants help humans who have the disease? Hopefully, the answer to this question will soon be "Yes". 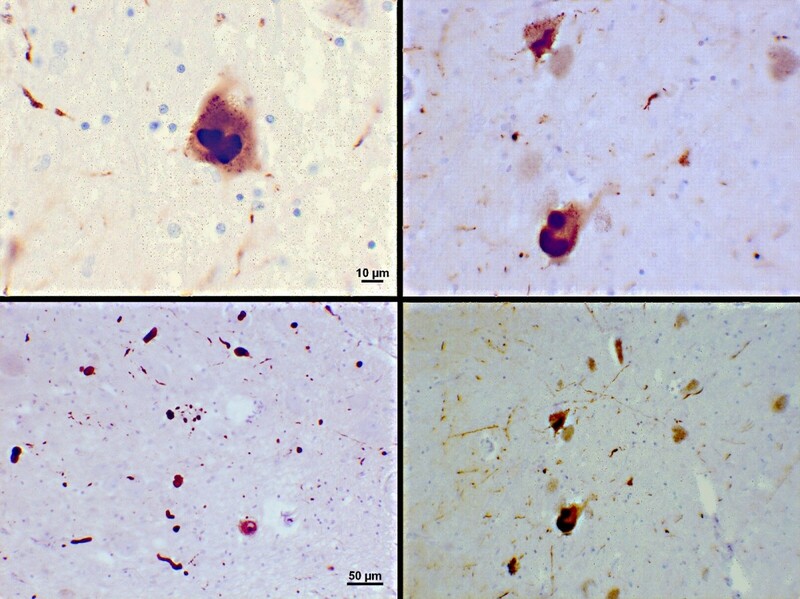 Stem cell transplants in a rat model of Parkinson's disease. Hi, Hannah C. Thank you very much for the comment. Like you, I hope that a cure for Parkinson's disease is found soon. Thank you for this wonderful, informative article. Parkinson's disease is such a debilitating disease. May a cure be found soon. I'm very sorry about your aunt's diagnosis, Adventuretravels. I hope things go as well as possible for her. Thanks for the comment and the pin. Unfortunately my auntie has been diagnosed. This has been very helpful because it's very hard to know what to expect and how best to support someone who has the early stages. Pinned. I agree, Deb. The discovery of a cure for Parkinson's would be absolutely wonderful! I hope it happens very soon. Whomever cures Parkinson's will definitely be the recipient of the Nobel Peace Prize. Could you imagine the excitement regarding this possibility? I truly hope that it will be a success. Thank you for the comment, ChitrangadaSharan. I appreciate your visit and vote! Very useful and informative article about Parkinsons disease! I have seen some people suffer from it and their situation was so pitiable. I hope people benefit from your well researched hub. Voted up as useful! Thank you very much for the visit and the comment, Flourish. I'm sorry that your husband's grandmother had Parkinson's. It can be a very unpleasant disease. My husband's grandmother had PD, and it was sad to watch her demise over the years. Your hub provides an excellent description of this terrible disease, its effects and the research possibilities that provide hope. Hi, Mel. I hope the research is successful and that your friend and many other people benefit from it. Thanks for the visit! I have a friend with Parkinsons who was forced out of work because of this disability, so it would be satisfying to see some of this research come to fruition. Great hub! Hi, Dianna. Yes, there is definitely hope. It's interesting that the disease seems to affect some people more severely than others. The good news is that a lot of Parkinson's research is being performed. Hopefully this will lead to breakthroughs soon. There is still hope for those who suffer from this disease. I always think of how much courage Michael J. Fox has in facing his battle with this each day. I agree, Jackie. I hope there's a treatment breakthrough very soon. Thanks for the visit! I do hope someone makes a breakthrough on this soon. It is such a horror and Michael J Fox is an example of how horrible it can be. I have heard of things that may cause it but of course none of that has been proven. Hi, Martie. Thank you very much for the kind and interesting comment! The discoveries about stem cells could definitely be awesome news for Parkinson's patients. I hope the research leads to clinical tests and that the tests are successful. Perhaps other facts about the relationship between dopamine and Parkinson's disease will be discovered, too. Time will tell! Thank you for the comment, SherriDW. I appreciate your visit. Thank you for this article. I found it very interesting and thought-provoking. Thanks for the visit, Lisa. I hope very much that the medication helps you and that the future is good for you. Thank you for writing this article. I was tested for Parkinson's because I suffer from tremors. The test came out negative, however I am on medication to prevent these tremurs. I often wonder if they missed something. Thank you very much, Audrey! I appreciate your comment. This is wonderful! Very clear and well researched and written! Thank you for the comment, agusfanani. I'm so sorry that your mother in law had such a bad experience. I hope an effective treatment for Parkinson's disease is found as soon as possible. It's a very informative hub. My mother in law suffered from Parkinson and had all the symptoms you mentioned in this post. She finally died after spending her life lying in bed and had dependency on prescribed drugs for years. Hi, Bill. Thank you very much for the comment! Like you, I hope the clinical trials are successful. Stem cell technology could become very important in medicine. Fascinating hub Linda. Stem cell treatment sounds promising and hopefully the clinical trials proved successful. This really is a dreaded disease. Thank you for sharing your knowledge in a way that even I can follow. Thank you so much for the visit, the votes and the share, Maria. I'm glad that your mother was able to live relatively well with Parkinson's disease, even though she was self conscious. Thanks for sharing the information about Robin Williams. I knew that he had early stage Parkinson's Disease, but not that he had Lewy Body Dementia. I wish he had been diagnosed and helped while he was alive. Best wishes to you, Maria. Thanks for this update, Alicia. I always think of my dear Mom who had Parkinson's from the time she was in her late 40s... she managed quite well with it, yet always felt so self conscious. This article is especially interesting to me in light of the recent autopsy findings about Robin William's death - showing that he had Lewy Body Dementia. Thank you for the comment, Maren Morgan. Thank you very much for the comment, Nadine. I appreciate the share, too! Many thanks for this well researched article. 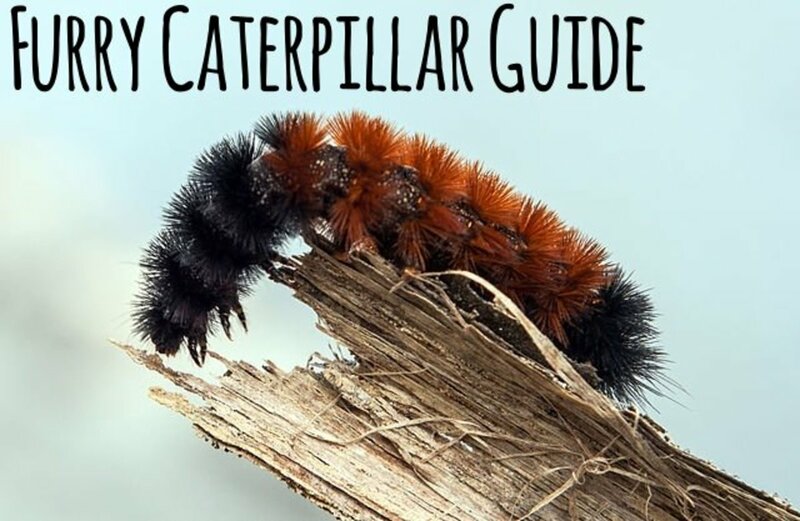 It's both comprehensive and easy to read so i will share this on my network. Well done. Hi, drbj. Thank you for the kind comment and the vote! I appreciate your visit. What a fascinating, well-researched and well-written dissertation on Parkinson's and stem cell treatment. Thank you for your effort and your time, Alicia. Vote up! Hi, tobusiness. Thank you very much for the comment and the votes! I agree - stem cell research is exciting and offers the hope of treating some horrible diseases. I hope the pace of research and discovery increases so that we can learn how to use stem cells as effectively as possible and as soon as possible. 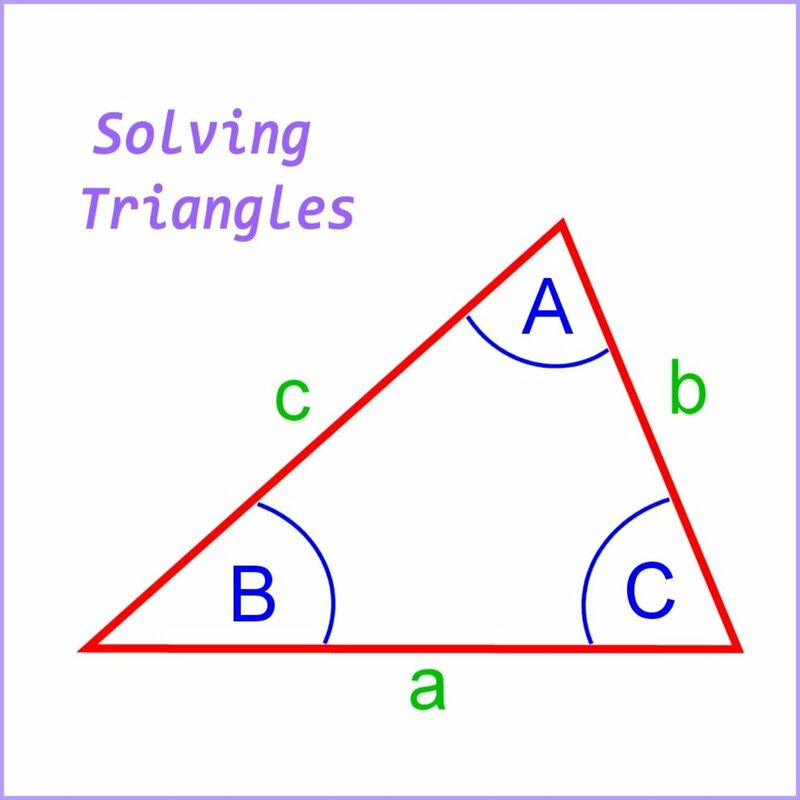 Alicia, this is informative and very useful. Diseases like parkinson's can be heart breaking, stem cells research is the hope for the future and not just for Parkinson's disease but also for many of those terrible genetic disorders. Excellent hub. Voting up and awesome. Hi, Faith. I hope researchers discover that stem cell treatment can be effective for Parkinson's disease. Thank you very much for the vote and the shares. This is a most insightful hub here. I have heard of dopamine before but never realized its connection or importance as to not having Parkinson's disease! There is great hope with the stem cell treatment for this terrible disease. Thank you very much for the comment, the vote and the share, Eddy! Very interesting and well researched Alicia. Voted up and shared. Thanks for the comment and the votes, DDE. I always appreciate your visits! Interesting! You share informative and most helpful hubs. Voted up, interesting and useful. Hi, Prasetio. Thank you very much for the comment! Stem cell technology is certainly amazing. The list of applications and potential applications for stem cells is growing. It's important that people research claims about stem cell treatments carefully, though, and that they seek their doctor's advice if they are considering getting a treatment. 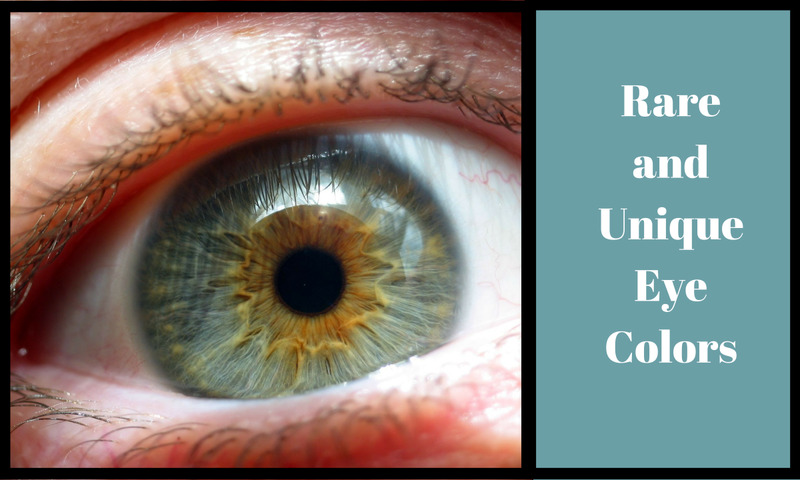 There are a lot of misleading and inaccurate advertisements about stem cell use and benefits on the Internet! Stem Cell is kind of miracle in medical world. It's good for renewing bad cell and now it used for skin treatment, cancer treatment and many disease. Thanks for writing about stem cell for Parkinsons disease. Good job and voted up! Hi, Rachel. Thank you very much for the comment and the votes. I agree - all serious diseases are sad, but ones in which a person's mind stays active while they are unable to communicate with other people are especially unpleasant. I'm so sorry about the death of your father and that someone close to you is suffering from Parkinson's today, Ann. My mother died from another neurodegenerative disease (ALS), and like your father she was aware of what was happening as her health deteriorated and she became incapacitated. Stem cells are being investigated as a treatment for ALS, too. I hope that a cure or effective treatment is found soon for both Parkinson's and ALS. Thank you very much for the comment, Ann. I appreciate your visit. It is very sad to know that a person is aware of everything on the inside and can't communicate to those outside. This is a very comprehensive article with lots of information for those who are still seeking and those in treatment. Voted up, useful and interesting. My father died of this disease. He was an active person all his life and his frustration with Parkinson's was terrible to watch. He remained aware of all that was happening to him, even when he had a stroke; a sad demise of a wonderful human being. My partner's brother also has this and again the frustration is so difficult to watch and so hard for him. The sooner they find a cure for this the better. Great hub full of interesting, useful information and explanations. Hi, Bill. Yes, it is a very unpleasant disease. I hope so much that a more effective treatment is found soon. As always, thank you very much for the comment so soon after I publish a hub! Fascinating as always. Whenever I think of Parkinsons, I think of Muhammad Ali. One of the greatest athletes ever known is now reduced to a trembling shell....ugly disease.